Welcome to your web site! This is where you make the hotel, inn, and other accommodations recommendations, as well as your personal reviews. All to be published on this website. Moreover, this initiative is for the destination traveler ( both budget and tourist traveler alike ), and those who have accommodations offerings, as well as those event providers who in the course of promoting their social and cultural events know of accommodations in which patrons can stay. It is my recommendation which I included Ithaca as ~ The Cultural Magnet Destination City. And now it is your turn. The complies with the cultural democratic inniative of the Night Life ( NightLife ), RMC series of websites. The world is full of many beautyful places. I plan on traveling to those places which fill my mind with beauty and wonder. However, if I were awarded an expense paid trip to any one place in the world, I would immediately travel to Heidelberg Germany. I've already spent seven years of my life in Heidelberg. I was an adolescent then and all of my memories are detailed and happy. I know that the best cherry tree is off Romerstrasse, I know where the best fishing hole is in the Necker river and I know the quickest route through the wood to the Heidelberg castle. The reason I want to return to the city now however, is because I would like to view it in my eyes as an adult. I would like to visit the bars, buy "things" from the boutiques and camp along the river side. Not only do I want to go to Heidelberg to capture old and new memories but also to hook up with old and make some new friends. I've been back in the states for eleven year but I've kept in touch with my German friends as this time has past. Over these years, the letters I've mailed and received have changed tremendously. I used to write about bubble gum and beating up boys but now I write about bourbon and kissing boys. The letters I've received have also changed in the same effect. Just to see the people I've written too over the years would make my trip worthwhile. Capturing memories and seeing old friends is great, but it always has been the culture and the language that has kept me interested in the country itself. When I lived in Heidelberg, I insisted on going to the local German public school. Therefore now, I can speak German and would love to delve into a conversation with an older cultured Heidelberg person who would tell me its history. Stories told about history through the eyes of older "experienced" individuals have always facinated me. The city of Heidelberg has always facinated me, therefore I want to travel there and indulge in German conversation with older beer drinking men in bars. If I were awarded an expense paid trip to Heidelberg Germany, I would leap for joy. I want to travel down memory lane. I want to meet up with my "old" friends and I want to use my German speaking skills. 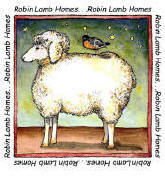 http://www.robinlambhomes.com/activities.htm Urban Getaways Urban Getaways from New York City Night Life ( NightLife ), RMC - Urban Getaways from Washington DC Night Life ( NightLife ), RMC - Best Homes and Retreats , The Ithaca Cultural Directory . Vacation Retreats . Vacations . Ithaca Night Life ( NightLife ), NY Links Page .